If you forgot your password, please enter the following data and a temporary password will be generated and sent to your registered email address. Once logged in, you will be prompted to create your new password. Your new password should contain a minimum of 4 and a maximum of 15 characters. 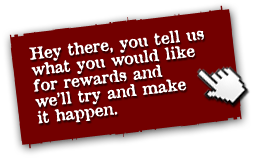 Help us decide the great rewards! - aside from the free food of course. 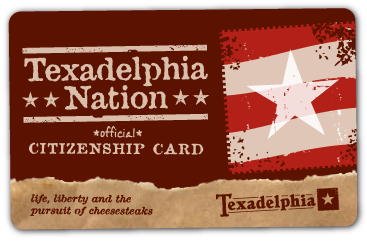 Tell us what you would like to see on the rewards page, keeping in mind the cheesesteak space shuttle probably won't happen! Troubles viewing the website? Click Here and follow the next instructions to enable the Compatibility View.